One year after Super Typhoon Yolanda, children affected by the disaster are hopeful about what the future brings. The photography exhibition launched today entitled “Through the Eyes of Children – Stories of Hope and Resilience in Tacloban,” feature images by young photographers on how families are recovering and rebuilding their lives a year after the typhoon, as part of the EYE SEE project with Sony Corporation. Twenty young photographers from different bunkhouses in Tacloban took part in a photography workshop organized by UNICEF and the Tacloban City Social Welfare Development office. Photography offers these children a chance to voice their emotions through the lens, paving the way to self-discovery and social participation. Lotta Sylwander, UNICEF Representative in the Philippines, said, “Children are the most vulnerable in major natural disasters, but they are not passive victims; they play a vital role not only in helping to rebuild, but also in reducing risk and strengthening resilience in the longer term. 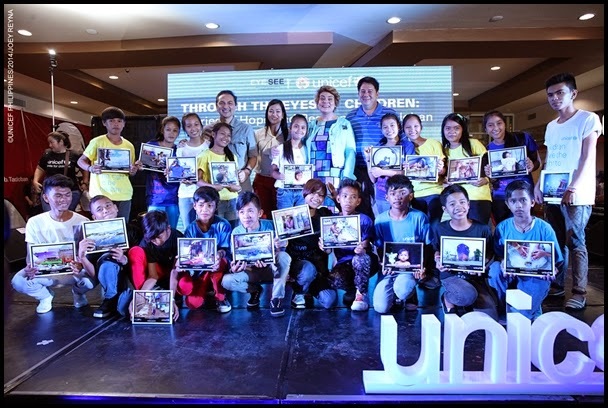 (from L-R): World-renowned UNICEF photographer Giacomo Pirozzi, Sony Philippines’ Erica dela Cruz, UNICEF Representative in the Philippines Lotta Sylwander and Tacloban City Mayor Alfred Romualdez with the young photographers and their best photos. Beyond expanding their creative horizons through photography, the true strength of photography is its ability to give a voice and a means of expression. The EYE SEE project also provides a platform for these children to meet with people living beyond their community, which not only expands their range of experiences, but also makes known to them that they are not alone. Above all, it encourages them to think of the possibilities beyond their circumstances, and become instruments of change in their own lives and the lives of their communities. Jopet Arce, 16, voted by his fellow young photographers as the Best Photographer said the workshop has had a positive change on him. “I never really thought I had any talent in photography. Who knew it could open my eyes to a lot of things, and make me look at life differently? Maybe this is where my future is” he says. First organised in Pakistan after the October 2005 earthquake, EYE SEE was initially focused on documenting children’s experiences in displacement camps. Guided by their CSR philosophy “For the Next Generation”, Sony has supported 17 EYE SEE workshops for children living in 14 countries, affected by disasters such as the 2011 Tsunami in Japan. Beyond the photo exhibition, Sony has supported communities affected by Typhoon Yolanda with aid and volunteer work via employee engagement, and will continue to share the travelling exhibit on social media. UNICEF’s response to Typhoon Yolanda continues with the agency now focused on long-term development work to empower communities in their recovery. 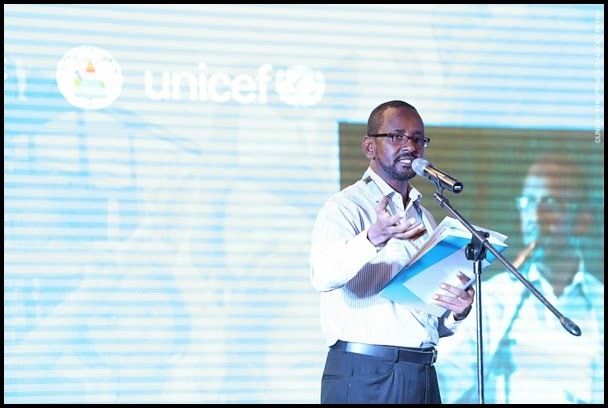 Over the last twelve months, UNICEF has rapidly scaled up humanitarian action, working in partnership to help local governments, civil society partners and communities, to build back better. “Through the Eyes of Children – Stories of Hope and Resilience in Tacloban” will be on display until 15 January 2015 in Robinsons Place Tacloban, and on November 20 at the SMX Convention Center in SM Mall of Asia. Photos can also be viewed on the EYE SEE portal site at www.sony.net/eyesee and the UNICEF Philippines Flickr site at www.flickr.com/photos/unicefphils.